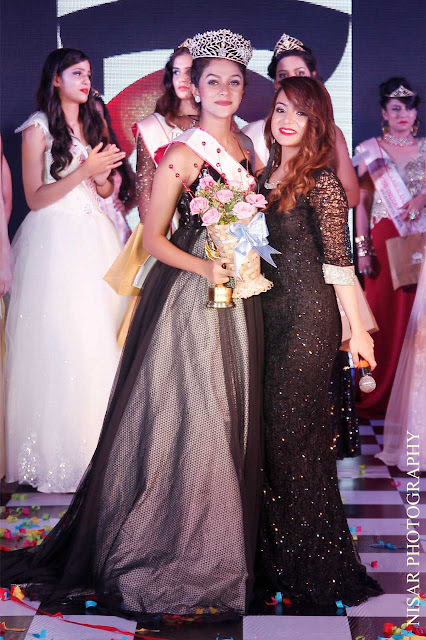 First of all I would like to congratulate you on win for not just one but two titles Miss Teen’17 and Miss Asia’17. How are you enjoying your success? Well it’s a dream come true for me because I have always wanted to do something like this. Off course it’s one of my biggest achievements till date. Though this isn’t my ultimate goal, I am still working hard because there is lot more things that I want to achieve in life and my journey has just begun. Sushmita Sen has been your inspiration and your name is also Sushmita. Is this merely a coincidence? Please share story about your name and how she has inspired you to work on your dreams. She has always been my idol. I just look upto her for inspiration. Though I have never her in person but I would like to meet her someday. Well it’s because of my mom and dad who were huge fans of Sushmita Sen and when I was born they named me after her. And now I am her fan too. Since I was a first grade kid I have always wanted to become Miss India. But it all started when I completed my 10th. Being 16 I always found myself out of the criteria box for many pageants. I come from a small city Kalyan which is a suburb in Mumbai. I started my journey with a platform named Miss Fashion Globe that happened in the month of August 2017. I was in the top six being the youngest. That Pageant gave me a new outlook and opened a lot of ways for me. 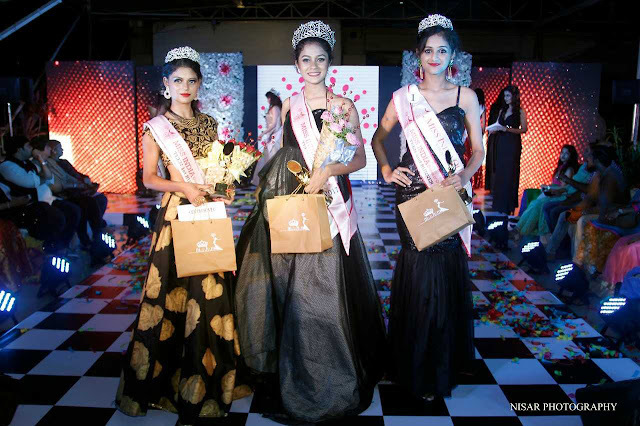 My age became drawback here as I failed to reach top in two pageants but each failure taught me something and I emerged strongly from these setbacks. Was your family always supportive of your decision? What was their reaction when you win first beauty pageant? My family is my pillar and they have always been supportive of my decision. They have always motivated me no matter what. Sometimes I even thought of giving it up but my parents always motivated me to follow my dreams. It was an amazing learning experience for me and I really got to learn a lot of things over there. It built up my confidence and I am sure it'll help me in the internationals. In 2018 you are looking forward to participate in Miss Teen Elite Global Earth in Las Vegas. What kind of preparations you are doing? I am working on my personality development. Walk is something that leaves good impression and I am working on this aspect as well as it shows a lot about your confidence. People have their own myths and notions about Beauty Pageants. Any myths or notions you would like to break for audience? Yes, something about source and compromises. One should not believe in shortcuts because I believe that talent and your hard work is what that counts. It’s you that will make you stand at the top. Some people really find it bad to work as a model but if you talk about me I feel that I am the luckiest to be one of them and trust me the feeling that you get standing over here is beyond anything. What is your biggest strength that keeps you going in life? I am just 16 and have always been ambitious. What made me work hard is the thought that where I want to see myself in next 6 years from now. Happy faces of my parent’s family are the biggest achievement for me and I am still watching my empire build. What is one piece of advice you would like to share with anyone who is looking forward to participate in beauty pageants? You should always be confident about yourself. No one can be like you and that's your power. The moment you realize that your beautiful, is the moment you've already won half of your race. Even I was a victim before and would cry when people used to call me black but now that's my one of the biggest strength. Never ever let anyone walk over you. 2018 is all about making me stronger and definitely to secure title Miss Teen Elite Global Earth in Las Vegas in my name. We would like to wish Sushmita all the best for her future endeavours.